We know you’re probably thinking, ‘Man, if there was only some way I could use data to help me raise my children!” Or maybe not. But if you’re looking to track your kids' gaming habits, the Nintendo Switch parental controls provide next level, data-nerd worthy info on what games your kids are playing, how long they’re playing, and a level of control that’s surprisingly specific. If the Switch Parental Controls shows your kid clocking overtime in Lego Marvel Super Heroes 2, you can put it on lockdown. You can dictate what level of games are playable by age-rating. Decide which days of the week and what times are fair game. Most importantly, you can let the console be the “bad guy” and tell your kids when time is up. And, all of this can be managed from the Nintendo Parental Controls app on your phone. So if you’re ready to help the Nintendo Switch help you be a better gaming parent, here’s how to get started. How tough is it to set up the Nintendo Switch Parental Controls? Once you pull a new system out of the box, you need to create the adult / master account…and then let your kids create their child accounts. Here comes the tricky part: After the kids create their accounts, you need to grab the controller back out of their hands for a few minutes and set the permissions levels of what games they can play, as well as when they are allowed to play. Nice bonus for the Switch: No need to set up external email addresses for the children accounts. They are just tied to your master account. All said and done, you can knock this out in under five minutes. We timed it. And, there’s an app for that? Yes! If you want to keep your kid in check when you’re not at home, and peruse an easily-digestible breakdown of their gaming habit, the free app is a must-have for Switch owners. 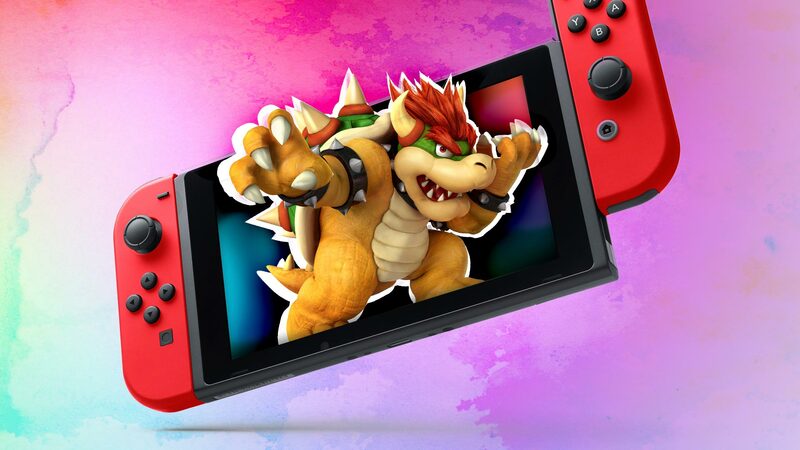 Available for Android and iOS, Nintendo Switch Parental Controls puts a ton of information – and control – at your fingertips. It’s easy to set-up and simple to use. Just make sure that you’re at home, on the same Wifi network as your Switch, for the initial setup. Really? I need more data tracking in my life? The data reporting is what puts the Switch’s parent-friendliness on a whole other level. See at-a-glance reports of what’s happening on a daily, weekly, and monthly level with activity tracking. Drilling down by the day, you can see which games have been played and how much time your kid was in the zone. Did your little angel download anything? Maybe they tried to hack your parental override PIN? It’s all listed there for you to see. Over weekly and monthly views, you’ll get spoiled with information. Learn the most-played games, the days spent playing, average time spent per day…and if you need more info on the games they are playing, the app pushes straight to each game’s info page on the Nintendo site. On the most basic level, there are three presets for locking down how your kids play: “Child, Pre-Teen, and Teen.” Whether you choose those settings or go for your own custom config, you’re toggling the game age-rating restrictions, how they communicate with others online, and if they can post to social media. And, of course, you control how much you trust kids in the digital storefront. Don’t know about you, but we don’t give our kid the wallet when walking into a toy store. Just sayin'. Are some games the exception to the rule in your house? With a quick toggle, you’re whitelisting titles the little prodigy is allowed to play. CAVEAT ALERT: If you do choose to end sessions by suspending the game, it may not allow your kid to save their progress. So, this is where you can step in to play the good cop, enter your parent PIN code, and let ‘em get to a save point. It’s not just for kids. Kinda. Being honest, though, if you’re half the data nerd that we are – those parental controls can also keep you honest. Y’know, helping track how much time you’re still spending playing The Legend of Zelda: Breath of the Wild a year later. No judgements here. The Nintendo Switch parental controls sound pretty awesome, but what about the Xbox One or PlayStation 4? While Nintendo goes above and beyond with the app and all its data tracking features, there are some parenting options in the other main home consoles. Here’s the turbo-short breakdown of what they do. Xbox One: Establishing a child within the Microsoft Family feature, you’re able to restrict access to features within Xbox games, but also apps and general Windows 10 features. This is actually great for older, connected kids that might have their own devices, social accounts, and personal Windows logins. You can also opt to get weekly report cards via email on what your kid is doing with their screen time. PlayStation 4: Sony’s parenting functions focus on locking down play times, game (and movie) restriction levels, and spending money in the PSN store. As of writing this, there is no data reporting of time played on the level of Microsoft or Nintendo. But, hey, with the frequency that Sony spits out system updates, anything’s possible.